Special Counsel Robert Mueller has handed out a number of plea deals with varying degrees of leniency in Donald Trump’s Russia scandal, but he hasn’t been known to grant outright immunity – until now. 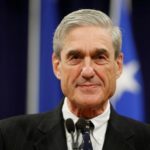 Mueller has given immunity to a key witness in the scandal, George Nader, meaning that nothing he confesses to can be used against him. Here’s the real reason Mueller is letting Nader off the hook in exchange for his testimony. Nader’s immediate connection to the Trump-Russia scandal is that he and the United Arab Emirates helped set up a meeting between Donald Trump associate Erik Prince and the Russians in the Seychelles, which has since been reported as an attempt at setting up a backchannel. Nader can clearly incriminate Prince for any crimes committed in relation to that meeting. But why would that alone motivate Mueller to give Nader a free pass, as reported in the sixth paragraph of a New York Times article (link) when other key Trump-Russia witnesses like Michael Flynn and Rick Gates have had to agree to significant prison time as part of their plea deals? The answer is that this has to be about more than just Erik Prince. Nader wouldn’t have asked for immunity unless he feared that his testimony could lead to him being criminally charged. Mueller wouldn’t have granted that immunity unless he believed that Nader’s testimony was valuable enough to let Nader slide on whatever it is he feared being charged with. That means Nader has to be the most important cooperating witness that Mueller has landed to date. That leads us to a collection of specific names. George Nader is deeply connected to the government of the United Arab Emirates. Robert Mueller is investigating Jared Kushner for allegedly running a pay-to-play scheme with United Arab Emirates (link). Nader is also closely connected to Steve Bannon and Republican National Committee figure Elliott Broidy (link). And as Palmer Report pieced together more than a year ago, Donald Trump’s failed Yemen raid appears to have been connected to the opening of his golf course in United Arab Emirates (link). In other words, Nader is in position to take down all the big names. No wonder Mueller gave him a free pass.